Colourful striped walls, long benches and a metal floor make up this small restaurant, Baan Thai. It feels a bit like a canteen. The vegetarian Red Curry was chosen mainly due to it being less spicy than the Green Curry. Aubergine, tofu, bamboo shoots, shredded carrots, peppers and green beans were the main components of the curry. I asked for the addition of potatoes just for something a little different. 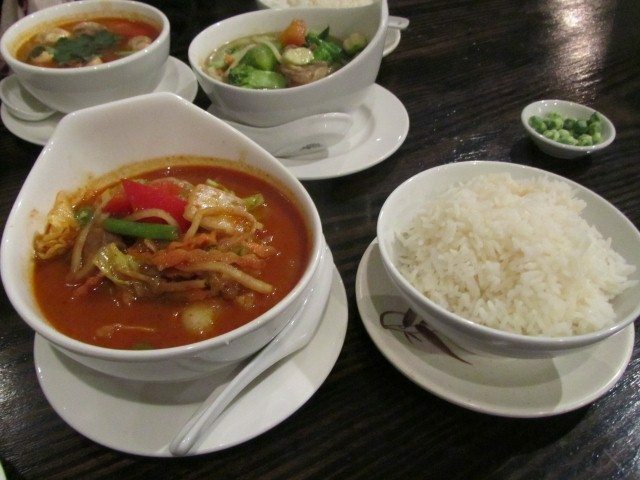 The Red Curry was mild and had lots of vegetables. It is a shame that it lacked the creaminess of the coconut milk. The side of rice was cooked well and there was enough rice to accompany the curry. 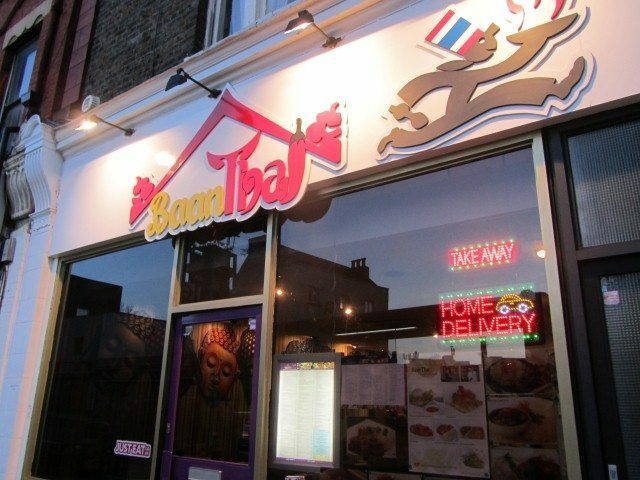 Baan Thai is an informal, clean Thai restaurant which has a nice family run atmosphere to it. 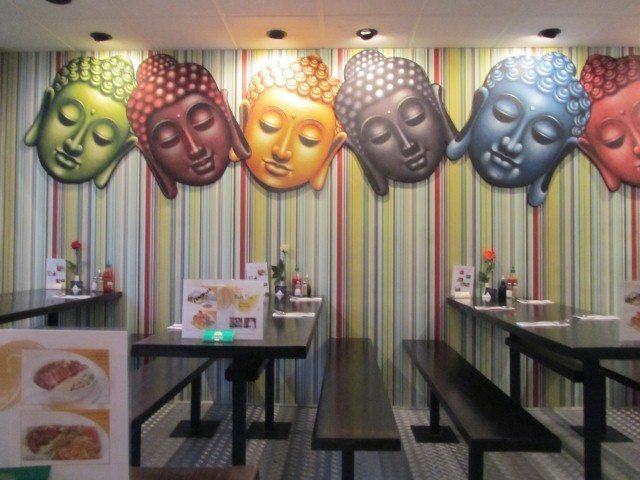 The service was good, the food was cooked fresh and the staff were friendly.